The University of North Alabama and the College of Business are committed to delivering high quality programs to our students. Assessment is conducted regularly to assure that these high standards are being met and to make improvements where they are warranted. 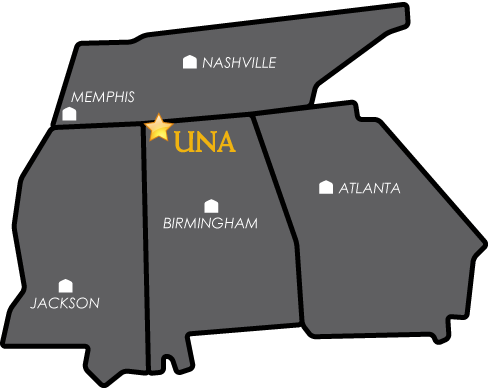 The assessment program includes both direct and indirect assessments handled both through the UNA Office of Institutional Research, Planning, and Assessment and through the College of Business Program Learning Goal Outcome Assessment process. The links below provide data from each of these sources.